Our mission at Bikepacking Roots is to advocate for the bikepacking experience and for the landscapes through which we ride. 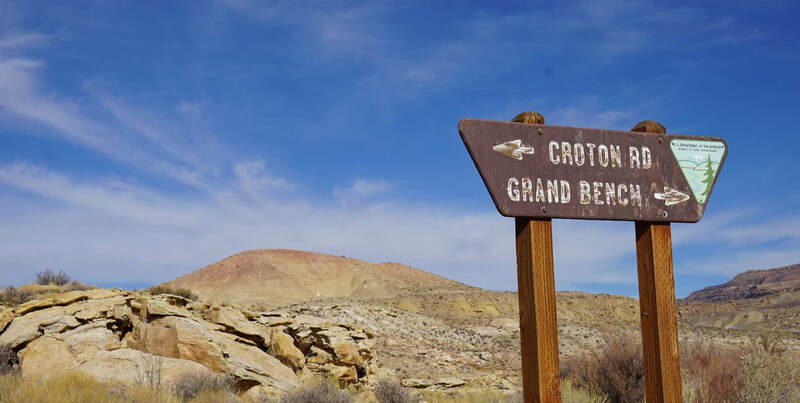 As such, we have been soliciting comments regarding the ongoing threats to the future of Grand Staircase-Escalante National Monument (GSENM). The Bureau of Land Management (BLM), the federal agency that manages the monument, is seeking comments between now and November 30, 2018 on a draft management plan and environmental impact statement (you can view the plan and other documents here or download a PDF of it here). In December 2017 President Trump unlawfully slashed Grand Staircase-Escalante National Monument in Proclamation 9682. It is currently in court and should be overturned as the Antiquities Act only grants a president the authority to designate national monuments, not to revoke or diminish them. Meanwhile, the BLM has moved forward with passing a new management plan for the shrunken monument and the lands now outside of the monument. The plan proposes four management scenarios, or “Alternatives”, of which the agency has identified Alternative D as the “Preferred Alternative.” Alternative D poses substantial threat to the future of the lands that GSENM house, and should be a concern for bikepackers. Refer to the table below to identify specific Chapter and Section references to highlight as a point of concern for you. Include why that issue is a concern to YOU, and how it impacts you and your life. Also identify what you do want to see happen. A personal story/anecdote can go a long way. Your comments must be personalized and cannot be copy and pasted to count. Submit your comments to the BLM before November 30! Thank you for taking the time to advocate for bikepacking and the landscapes through which we ride. Here we take you through the points of concern in the Preferred Alternative and the impacts these changes may have. Note that the law requires that National Monuments be managed to protect the resources for which they were designated; GSENM was designated a National Monument for its paleontological resources and spectacular geology, clear air and dark skies, cultural significance and archeological sites, and extensive biological soil crusts. The “Preferred Alternative” or “Alternative D” presented in the Grand Staircase-Escalante National Monument and Kanab-Escalante Planning Area Draft Resource Management Plans and Environmental Impact Statement (EIS) present the following management "solutions" that are of concern to us, as bikepackers and advocates of healthy landscapes. Mineral leasing for oil/gas/geothermal, Alternative D (Preferred Alternative) opens nearly all of the lands removed from monument status by the president to oil gas and coal development. Plan D opens up lands to cross-country off-road vehicle play and increases the number of legal off-road vehicle routes in the backcountry. Increased cattle grazing will have a detrimental impact to the biological soil crusts of GSENM lands; reduced biological soil crust coverage will decrease air quality as dust is increased. The Preferred Alternative calls for allowing “casual collection” of fossils by anyone. This would legalize the removal of any fossils by anyone, opening up the risk of rare specimens being removed from GSENM. Alternative D presents a management plan that dramatically reduces protection of landscape and would have a notable impact on the quality of bikepacking experience and opportunity in GSENM. Opening the landscape to mineral extraction would increase traffic, noise, and developed landscape. Increasing logging of native and old-growth piñon-juniper forest for rangeland improvements would transform the riding experience from forest habitat to rangeland inhabited by cattle. Allowing cross-country off-road travel would trample vegetation and develop unregulated roads, and have the affiliated traffic. Lifting protection of paleontogical sites and resources would result in the irreversible loss of opportunity for science and education that is preserved in the GSENM geologic story. Bikepacking Roots has established two long-distance bikepacking routes that visit GSENM (the Plateau Passage and the Wild West Route). 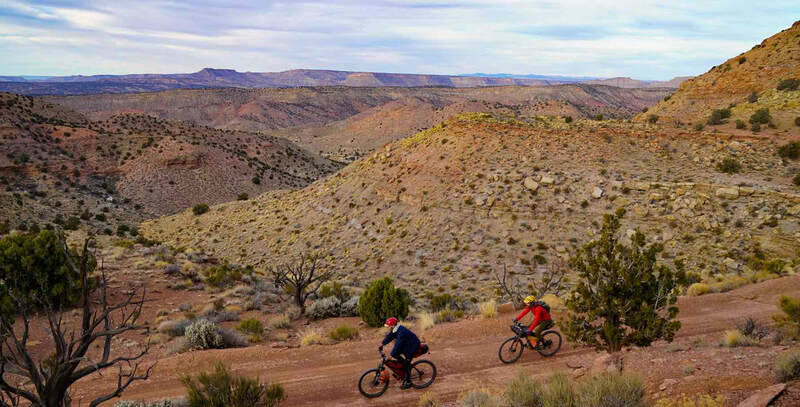 The reasons that inspired the initial designation of Monument status are congruent with the reasons we as bikepackers seek backcountry travel by bike through GSENM. The entire planning area is one of the most scenically pristine areas in the United States, including for nighttime dark skies. We value clean air to breathe, and dark skies to sleep under. Many of us live in parts of the country where this is not an option, and bikepacking across this landscape provides a rare and valuable opportunity. As bikepackers, we value the opportunity to ride through open, wild landscapes with minimal human development. GSENM as managed as a monument offers rare opportunity for solitude, remote travel, and healthy, minimally impacted landscape. Ultimately, the Preferred Plan dramatically reduces protection of the resources integral to the health and future of the GSENM lands; this poses a notable threat to the future of this landscape and our bikepacking opportunity for generations to come. Alternative A is the current plan, managing the lands under the guidelines of National Monuments. BLM should not include any alternative that considers putting public lands up for sale or disposal. BLM should not open any lands to irreversible damage from oil and gas development, coal and other mining, and energy infrastructure. Designating the Little Desert area as an open off-road vehicle “play” area is unacceptable and should not be permitted and lands should not be opened to widespread off-road vehicle use. BLM should not downgrade the scenic classifications (VRM) for lands within the planning area.